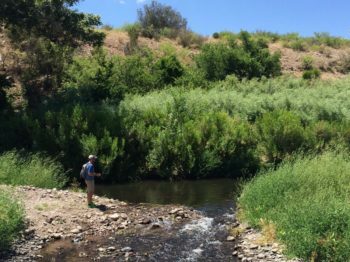 For the fourth time, the New Mexico Interstate Stream Commission and regional water developers are angling for approval to dam New Mexico’s last free-flowing river. 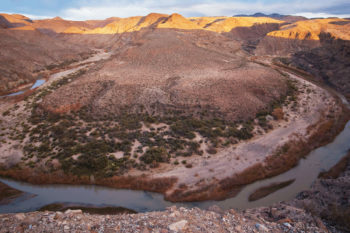 Profit and political influence are back for one more bite at the apple – and in this case that apple is the Gila River in Southwestern New Mexico. For the fourth time, the New Mexico Interstate Stream Commission and regional water developers (known specifically as the New Mexico CAP Authority) are angling for approval to dam New Mexico’s last free-flowing river, and “provide” water to communities and counties who have publicly stated that they neither want nor need the water from the river. 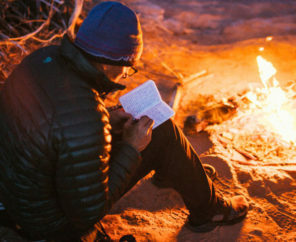 Included in the 2014 America’s Most Endangered Rivers report, the battle for saving the Gila is still on, even if the opposition from the citizens of New Mexico to damming this river has been consistent, vocal, and strongly one-sided. Choking this historic river for an unnecessary, expensive, and unwanted project – one that may never realize a drop of “new” water – would be nothing short of tragic. The Gila backed up behind a push-up diversion. That trickle is the river. I toured the area around the proposed dam site in June of 2014. The area is simply amazing, with stunning blue skies, dappled hillsides, and rocky canyons. With songbirds singing in the distance and trout darting among the shallows, strolling along the banks under towering cottonwoods made me wonder how a desert oasis like this could possibly survive with less than the trickle of natural water that already barely makes it down from the Aldo Leopold Wilderness above. Once again, we need to ask Secretary Jewell to intervene on behalf of wildlife, history, and sound economics, to halt another unwise and unnecessary project. Once again, we need to think about how we can be better stewards and use the resources we have more wisely and efficiently. Once again, we have to reflect upon ourselves and question whether or not we want to hold ourselves responsible for crushing a place that did not need to go. If you haven’t spoken out, please do. Let’s stop this project once and for all – if we don’t, the Gila may not get another chance. I need information on locations along the Hilla R. where I can study the Southwestern Willow Flycatcher for an entire breeding season. Behavior study!!! Would love to see the Gila river sometime in its natural state. but never got to because he was held as a prisoner of war. I hope I get to see it before it is ruined.